A little Vancouver Island fiber culture for you. My mom recently teamed up with the Tzouhalem spinners and weavers guild to compete in a Sheep to Shawl demonstration at the Cowichan Exhibition. In only six hours (wait, is that right??) the teams weave a shawl, two yards long, literally from sheep-to-shawl. 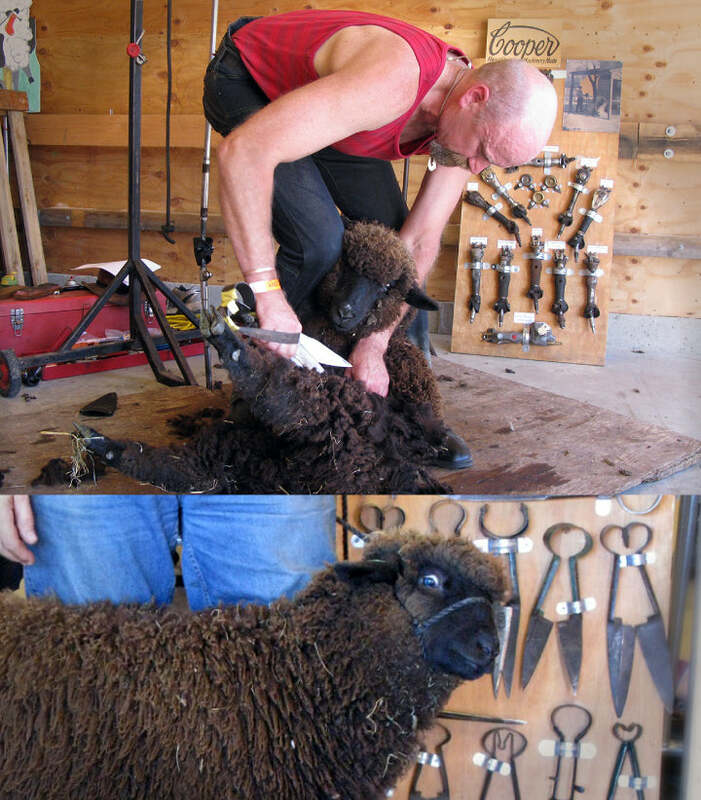 Before the 6-hour start, the sheep have to be shorn and the fleece washed. Then for the competition, the fleece is carded, hand-spun, and woven. I'm sure I'm making it sound like less work than it is by summarizing it. The teams are allowed to prepare in advance for the event by designing the shawl and warping the looms. But I think everything else is done on site. All photos copyright Rob Moore. Thanks Rob! Aren't they so photogenic? Jan and Dave Loop of Dunedin Farm in Shawnigan Lake provided the fleece and hosted the Sheep to Shawl event. To shawl: Spin like the wind! Weave til you drop! All the weft is hand-spun on site within the 6-hour timeline, and then woven into the shawl. Top: My mom, Cynara de Goutiere, weaving. The warp is hand-spun and hand-dyed (I don't know much about weaving but have been informed that the grey side is weft faced twill, and the pink side is warp faced twill. There are also beads woven in). I love this quote from the Cowichan News Leader (the local Duncan paper), it sounds like a sports competition: "Once the competition begins, there are no substitutions so de Goutiere must weave the entire shawl on her own. Never having competed in this event before, de Goutiere’s strategy is to work hard."